Фонд Взаимопомощи Коллектива Что Делать основан в 2008 году, когда мы решили несколько формализовать нашу «экономику» и попробовать различные механизмы перераспределения доходов, поступающих из бюджетов разных проектов, гонораров за показы фильмов и пожертвования, в основном от членов коллектива. У нас по-прежнему остается множество расходов, не покрытых никаким проектным финансированием и многие работы приходиться реализовывать из своих ресурсов — включая рабочее время и финансовых. Также мы увидели в ситуации с протестами и активностью Уличного Университета в 2008 году, началом издательского проекта Свободного Марксисткого Издательства и Транслита, группы Аркадий Коц, Майского конгресса, различных ситуаций протестных компаний, что они все делаются исключительно на энтузиазме участников и в текущей российской ситуации не могут надеяться на какие-то источники финансирования. Мы подумали, что было бы важно иметь возможность им помочь. Фонд не имеет бюрократической структуры и оперирует на основе неформальных контактов в художественной и активисткой среде. Здесь вы можете ознакомиться с рядом проектов которые уже удалось поддержать с 2009 по 2013 год. В последнее время средств Фонда, как правило хватает для поддержки ДР РОЗЫ (аренда помещения, проведения ряда мероприятий), различных инициатив Школы Вовлеченного Искусства. К сожалению, пока ресурсы Фонда довольно ограничены, но мы надеемся изменить ситуацию и в будущем иметь возможность более широкой поддержки различных солидарных инициатив в области искусства и активизма. Фраза «Не обязательно быть левым, чтобы думать ТАК» произносится одним из героев (бастующим рабочим) фильма Годара «Всё хорошо» в 1972 году. Сегодня, 40 лет спустя, она воспринимается также актуально – не как деполитизирующий лозунг, отменяющий традиционную маркировку политических расхождений, а как констатация того простого факта, что широкий спектр левых взглядов и убеждений перестал быть набором избитых идеологем прошлого, а является базовыми фактором выживания человечества. если у вас возникнут вопросы то пож. обращайтесь напрямую. Возможно целевое расходование средств под конкретные инициативы. Because of the repressive regulation of all NGO and non-profit organizations in Russia, Chto Delat functions as an informal workgroup with no official registration. Our economy is based on a variety of personal grants and self-financing. In the past, we managed to continue working on our publications and on-line resources by raising money from art projects and production of art work. However, this does not always give us the necessary independence to match the urgency of local activist knowledge production. We have already started publishing a new series of newspapers in collaboration with The Street University (Petersburg) called “Knowledge in Action”, but this series is entirely self-financed. In the future, we would like to be able to support a broader variety of local activist and militant research workgroups. To do so, we are establishing a Chto Delat? Aid Fund. We hope that your solidarity and contributions will make it possible to finance collaborations with initiatives that otherwise have no chance of receiving private or state support in Russia. If you have an idea or want to donate but don’t know how, please contact us at: info@chtodelat.org. All donations will be registered and the donor will receive regular information on how the money was spent. First issue was published as a numbered issue of Chto Delat newspaper. See here. Роман Осминкин. 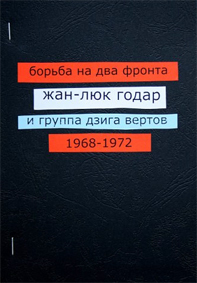 Обнародование крафт-книги "Товарищ-вещь" from chto delat on Vimeo. Выступление группы "Аркадий Коц" (Кирилл Медведев / Олег Журавлев) from chto delat on Vimeo. 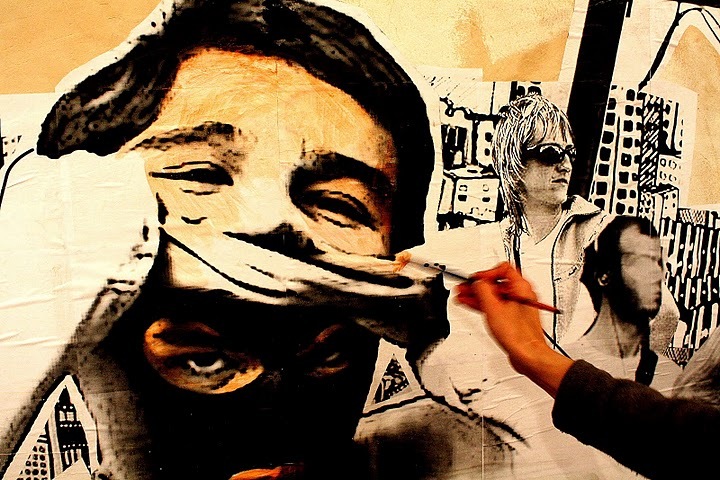 Living Politically will focus on the problem of how to combine theory and art with the militant political life. The Russian philosophers, artists and scholars organising this initiative have invited people from various branches of creative knowledge production, such as design, art, poetry and philosophy, to participate in the seminar. During the seminar, participants will attempt to answer three questions: How are the practices of various disciplines and their professional production methods conditioned by the political stances and activist practices of artists and researchers? How do the collective appropriation and generalisation of specific scholarly, artistic and activist work shape new models of politicisation? Seminar participants will focus on what ‘living politically’ means for them. Which political categories do they invoke to make sense not only of their own work in research and art institutions, but also of their daily lives? Thus, one theme of the seminar will be the commonalities and differences between contemporary European and Russian types of political subjectivation. The programme includes lectures, performances, discussions and screenings. The First Open 48-hours May Congress-Commune of creative workers will take place in Moscow, April 29-30, 2010. In the course of the two days, artists, researchers, translators, teachers, curators, union leaders, journalists, writers and musicians from all over the country will take part in several round-table discussions, talk-marathons, poetry readings and concerts. In the recent years, most of the participants have been part of important artistic and research initiatives that address the social and economic situation of creative professionals in contemporary Russian society. As neo-liberalism continues to establish its hold, its ugly manifestations are becoming a daily reality for all of us. Not only are exploitation and lack of freedom taking on increasingly elaborate forms, but also the very resourcefulness and the creative potential of an artist or researcher are appropriated and capitalized on by employers. It is against this backdrop that the issues raised by the phenomenon of precarious labor are becoming ever more pressing. It is our conviction that the reassessment of precarious workers’ position in today’s economic structure calls for a joint action in search of a new cultural space and an alternative educational platform outside of and beyond the fraudulent logic of the neo-liberal market economy. Alongside the struggle against the injustice at a work-place, collective advocacy of civil rights within professional unions, and the street-politics of manifestations and protests we are now making another crucial step towards the re-examination of our position and therefore, towards change. The May Congress builds on and develops the experience of several earlier projects, such as “Drift. Narvskaya Zastava” (St. Petersburg – Moscow, 2004-2005), “Self-Education(s)” (exhibition, Moscow, 2006), “68.08. Street Politics” (exhibition, Moscow, 2008) and “Leftist art. Leftist history. Leftist philosophy. Leftist poetry.” (seminar, Nizhny Novgorod, 2009) among others. The Congress proceedings will be organized around two main thematic clusters: LABOR and SELF-ORGANIZATION. The third, practice-oriented, part will take place in the morning, on May 1, the International Workers’ Day that celebrates unity and solidarity, when the Congress participants will walk out into the streets of Moscow to form their own joyful and creative column. The Congress will provide modest dorm-like accommodations for its participants on the premises of Proekt-Fabrika.